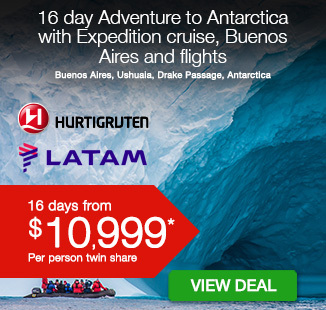 21 day Luxury Antarctica and South America cruise with return flights, breakfast daily, transfers, luxury cruise with all meals & more! 2021 travel dates available! per person twin share |	Typically $17,531! Truly feel we got was was offered in this deal... thank you for a lovely holiday. 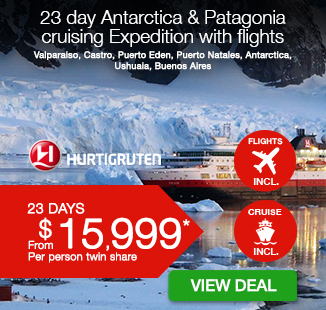 Experience something incredible with a 21 day Luxury Antarctica and South America cruise package. Stark remoteness, stunning mountain ranges and exotic wildlife provide an experience like no other. 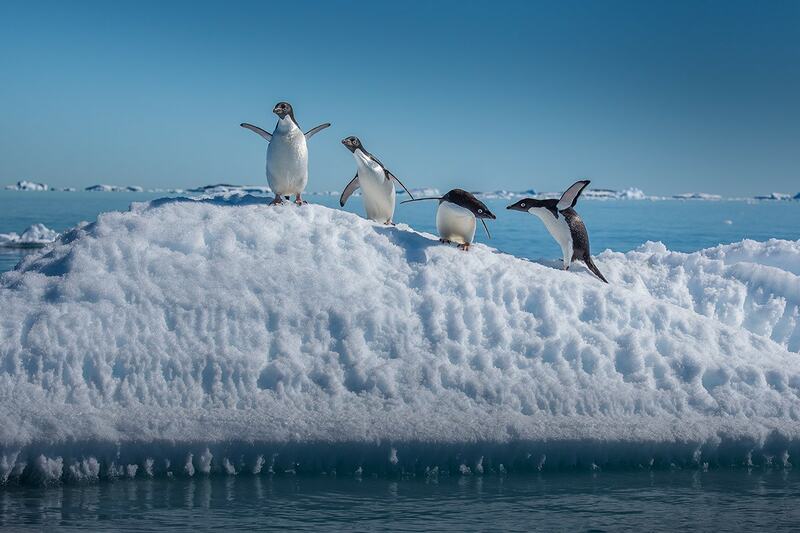 Antarctica is harsh but strikingly beautiful and promises to leave you enlightened, inspired and changed for the better. 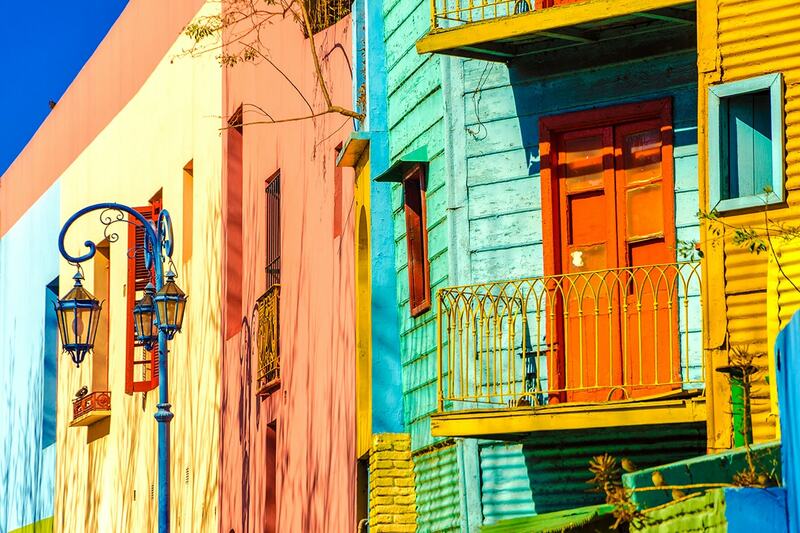 Take in enormous glaciers, watch whales frolic, explore the colours of Buenos Aires and wander buzzing Santiago. Discover the UNESCO Heritage Site of Valparaiso, cruise Paradise Bay, hike the Falkland Islands and so much more. This trip is sure to be unforgettable. Your package includes return international flights, breakfast daily, transfers, deluxe accommodation, sightseeing, luxury Celebrity cruise with all meals & more! 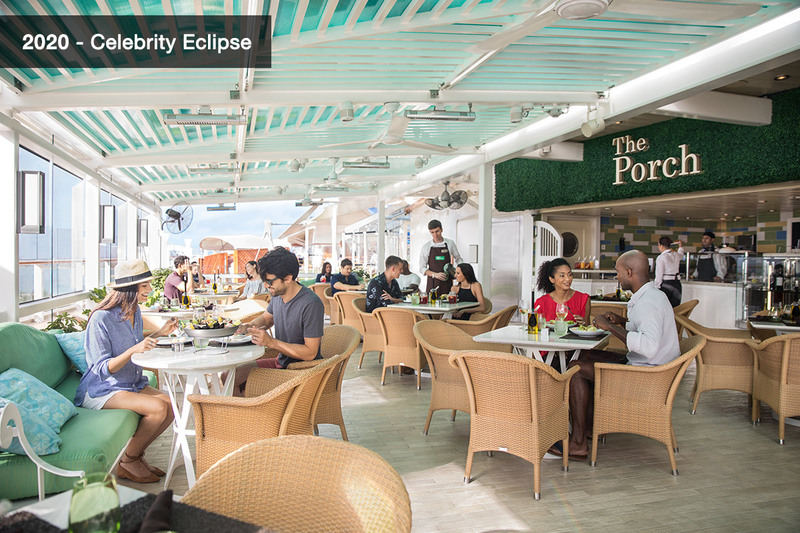 The Celebrity Eclipse offers a luxurious and upscale cruising experience, with state-of-the-art facilities, world-class dining options, modern accommodation and endless entertainment. Depart Australia today for South America. On Arrival you will be met at the airport and transferred to your hotel. The rest of the afternoon is then free to get to know this colourful city and its incredible history. Buenos Aires, Argentina’s big, cosmopolitan capital, is known for its European atmosphere, passionate tango and vibrant nightlife. Its centre is the 16th-century Plaza de Mayo, lined with stately buildings including Casa Rosada, the iconic, balconied presidential palace. The birthplace of the tango is, like the dance itself, captivating, seductive and bustling with excited energy. 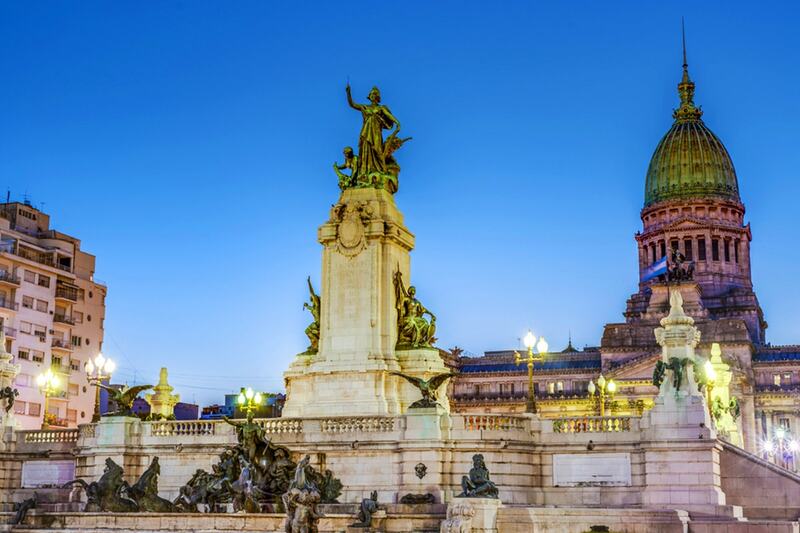 Atmospheric old neighbourhoods are rife with romantic restaurants and Buenos Aires’ European heritage is evident in its architecture, boulevards and parks. Today is a full free day to enjoy this incredible city. This morning after breakfast you will be collected from your hotel and transferred to the cruise terminal to board your 14 night luxury Celebrity Antarctica cruise. 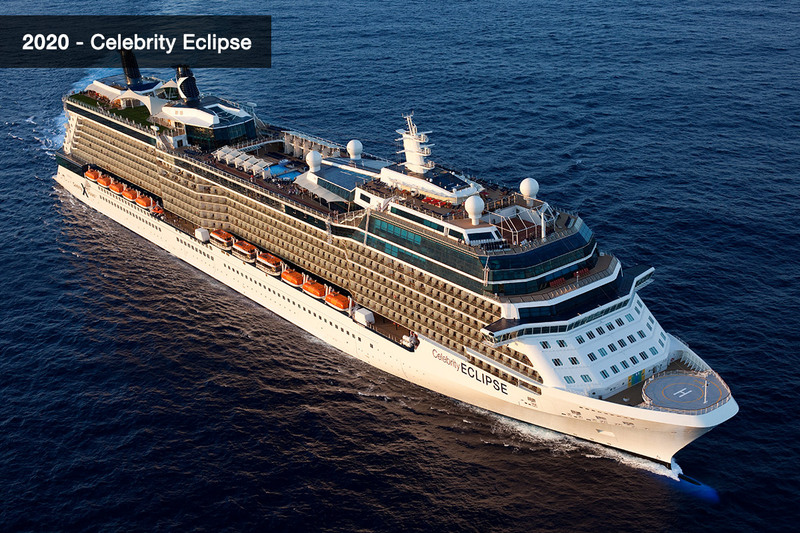 Those travelling in 2020 will board Celebrity Eclipse, those travelling in 2021 will board Celebrity Silhouette. 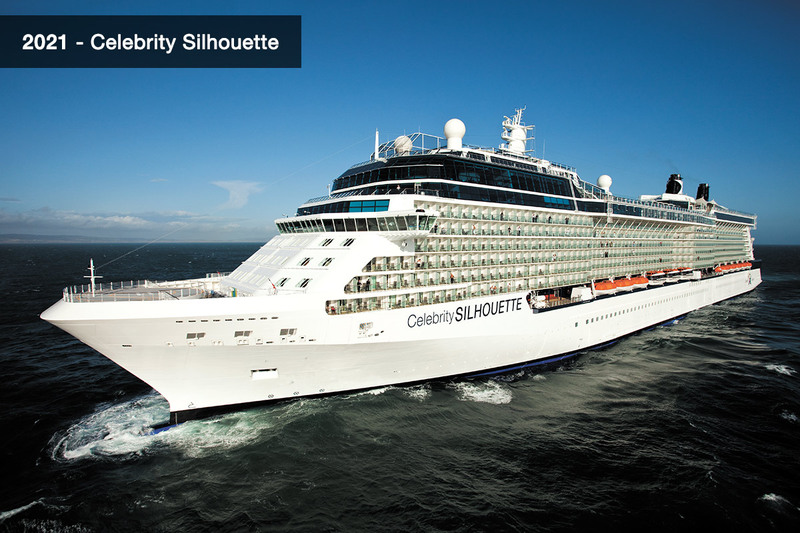 Celebrity Eclipse is ranked among Top 20 Large Cruise Ships in the Conde Nast Traveller 2014 Reader’s Poll. 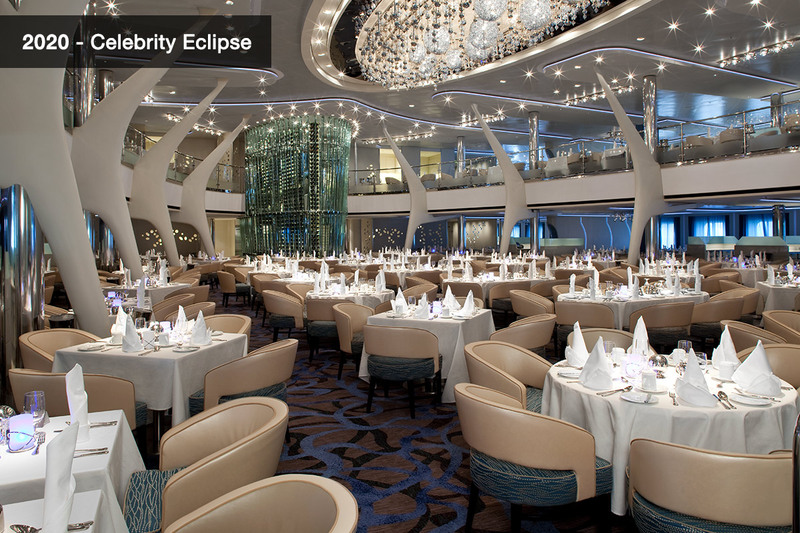 Luxurious and upscale on every deck and at every turn, Celebrity Eclipse sets the standard for modern luxury vacations. Sail in style surrounded by contemporary décor. Take your taste buds on vacation with diverse dining options. Enjoy endless entertainment options from sensational shows to some tranquil time in the library. Whatever your travel style, you’ll find your home on board. 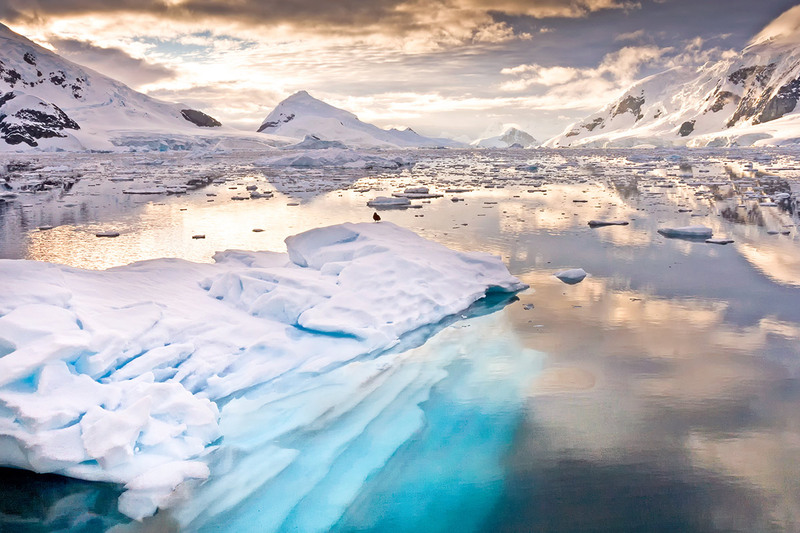 This cruise see you sail down to the trip of South America to the Antarctic peninsula before returning back up the coast of South America and past the most Southerly settlements in the world. This not to be missed journey will leave you with life long memories of some of the most remote places in the world. 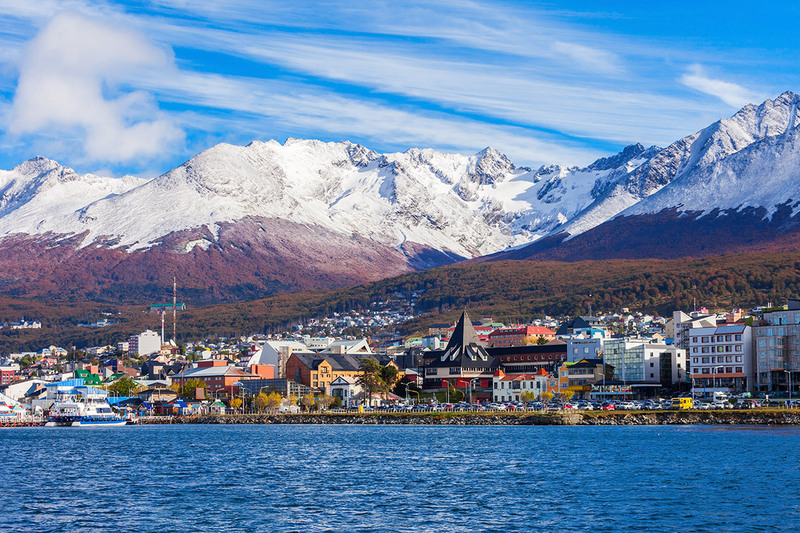 Today is a free day to do as little of as much as you like on your luxury ship as we make our way down the coast of South America towards the Southerly town of Ushuaia. Today is a free day to do as little of as much as you like on your luxury ship. No city on the planet has a more southerly latitude. As a result, the sun shines for 18 hours during each summer day, providing ample opportunity to view the mix of glaciers, forests and sea, all framed by Mount Martial to the west and Mounts Olivia and Cinco Hermanos to the east. Go ashore to explore this outpost of civilization. 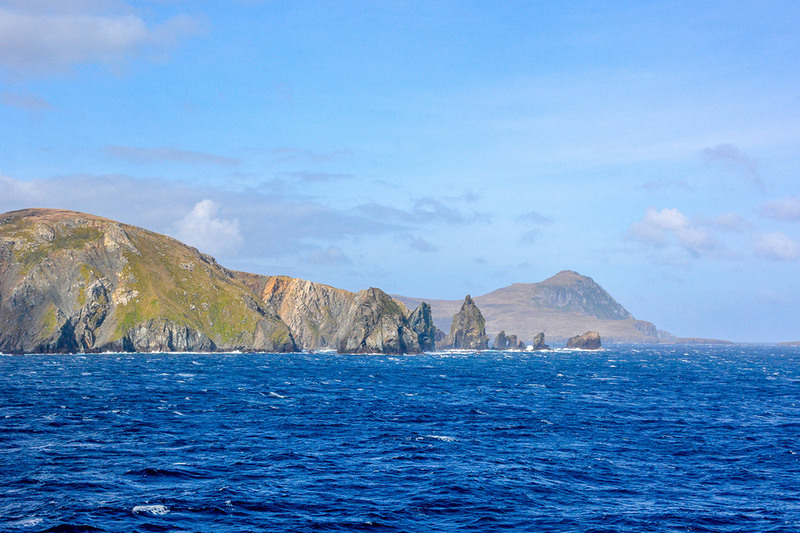 Today we sail by Cape Horn. Tierra del Fuego, Land of Fire, is the most isolated place in the Americas, and Cape Horn is its southernmost point. These craggy cliffs and windswept shores are stark, rugged beauty personified, creating a dramatic setting for the collision between the Atlantic and Pacific Oceans. Today is a massive day cruising the Antarctic Peninsula. You are certain to leave with amazing memories, and pictures, as you cruise through Schollart Channel located near Antarctica. 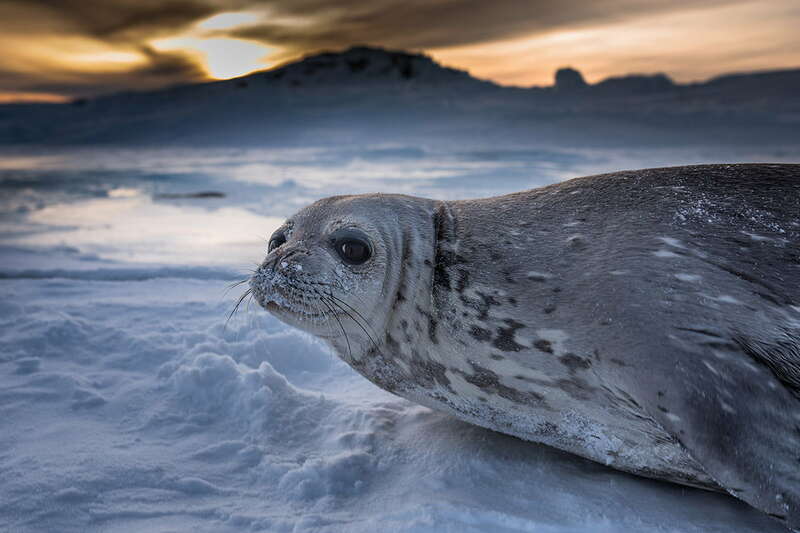 Take in the mesmerizing sights of massive ice flows, humpback whales, waddling penguins, leopard seals and more in their natural, and somewhat extreme, element. It is then on to Paradise Bay. This name aptly reflects the stunning beauty you’ll find here, just as the clear waters beautifully reflect the spectacular mountains, such as Rojas Peak, Bryde Peak, and the Petzvol Glacier. Within these waters we may see Minke whales feeding and Gentoo penguins curiously observing us from the rocky shores. 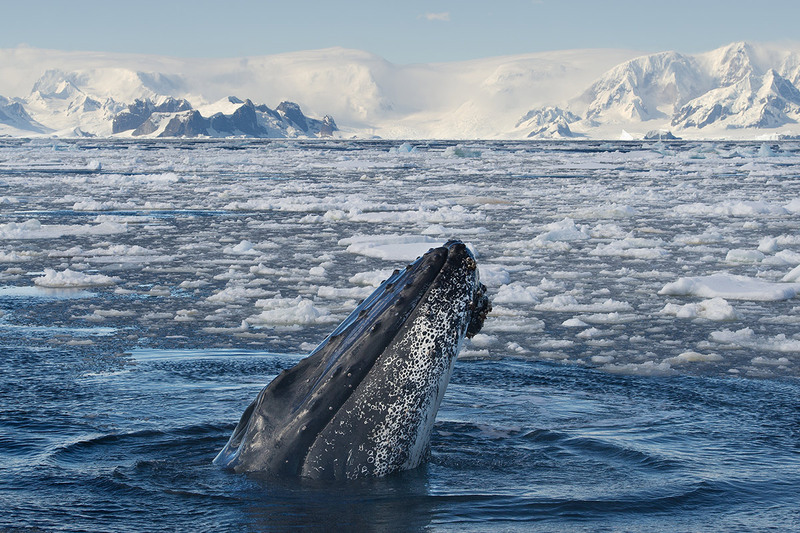 Finish off your day in the Gerlache Strait. A number of geographical anomalies around this channel make these waters among the most plankton-rich in the world. You’re likely to see a profusion of whales feeding in the rich ecosystem, which is a sight you’ll not soon forget. This tiny island in the Weddell Sea plays a role in one of seafaring history’s most legendary exploits. When the brave crew of the Endurance, led by intrepid explorer Sir Ernest Shackleton, was trapped in the ice during a 1914 polar expedition, they took refuge on this island until help arrived. Make port today at Port Stanley. A commune with the roughly 2,000 intrepid souls who call this remote former whaling outpost home. You have the option to hike through the rocky, windswept landscape to observe a few of the island’s flightless residents—including Magellan penguins burrowing underground, and rockhoppers carefully observing you from outcroppings. Your ship will dock in Puerto Madryn today. This deep water port was founded in 1865 by Welsh immigrants. Extending out into the Atlantic from Puerto Madryn is the Península Valdés, a wildlife sanctuary where vast numbers of sea elephants, whales and penguins far outnumber the few human visitors who make it out this far. Today you have the opportunity to explore Montevideo. Montevideo is a thoroughly modern city with a rich artistic tradition, the reach of the rural estancias is all around you. If ever there were a time you were inclined to indulge, delicious steaks are the specialty of the house in virtually every restaurant. Today, arrive back in Buenos Aires after completing your unforgettable Antarctic cruise. After disembarking, you will be met by your guide and transfer to your hotel. We then depart for a city tour of Buenos Aires. 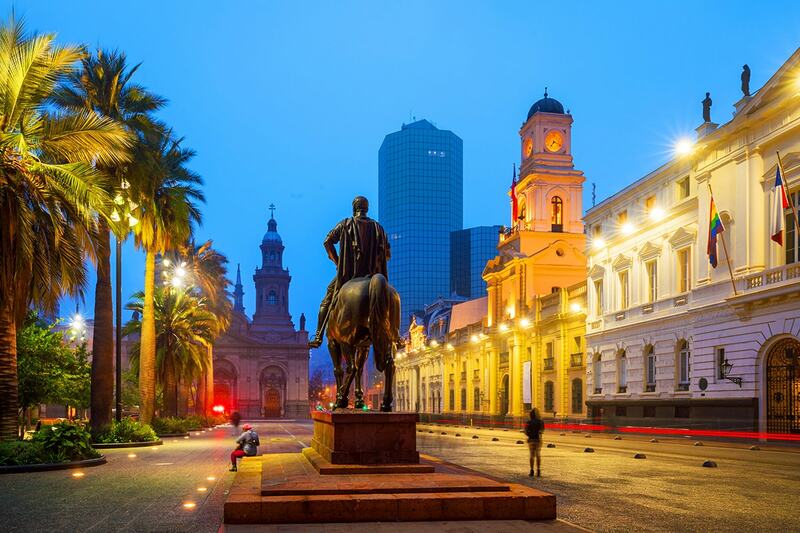 Here you will discover the heart of the city: the Plaza de Mayo and surrounds like the historic Cabildo (Town Hall) where the movement for independence from Spain was first planned; the Casa Rosada (Presidential Palace), and other old buildings. Near the Plaza you can find theatres and busy commercial areas. Then you will discover the 9 de Julio Avenue, one of the widest avenues in the world. You will also discover the main avenue of Buenos Aires: Corrientes Avenue (known as the entertainment centre) which is a street of many theatres and great night life. Also visit de Mayo Avenue, Florida Street, where you may enjoy a tango demonstration on the street. Visit one of the most residential neighbourhoods in Buenos Aires, La Recoleta: Here one gets to know why Buenos Aires is considered “Paris of the South”. Exquisite and refined, this place offers a lot of monuments and museums. You will visit the Cemetery where Evita Perón is buried. Many of the monuments of this cemetery were declared National Monuments. This morning there is an early transfer to the airport to board your flight to Santiago, Chile. On arrival, you will be welcomed by your guide to take you to your hotel. 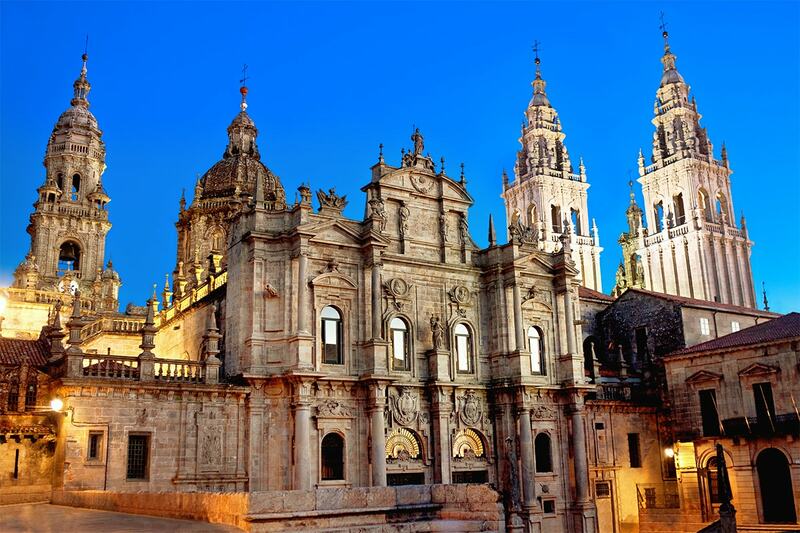 After check-in, head our for a tour of the historic centre of Santiago. Visit the presidential palace (La Moneda), a splendid building that once housed the national mint. See and visit other sights in the historic centre like the always-bustling Plaza de Armas: the impressive cathedral; the beautiful old post office; the Palacio de la Real Audiencia, now home to the National History Museum; and the Casa Colorada, once the Spanish governor’s residence. Climb to the summit of Cerro Santa Lucía to admire the panoramic view of the city surrounded by the high mountains of the Andes. Return to your hotel for an overnight stay. Today at the appropriate time you will be picked up from the hotel and transferred to the airport for your flight back to Australia. This morning after breakfast you will be collected from your hotel and transferred to the cruise terminal to board your 14 night luxury Celebrity Eclipse Antarctica cruise. Make port today at Port Stanley. A commune with the roughly 2,000 intrepid souls who call this remote former whaling outpost home. As you hike through the rocky, windswept landscape you may observe a few of the island’s flightless residents—including Magellan penguins burrowing underground, and rockhoppers carefully observing you from outcroppings. This morning you will be transferred to the airport for an early morning flight to Peru. A local representative will meet you as you exit from the arrival hall for a transfer to your hotel. This afternoon you’ll be collected from the hotel for a Cuzco city tour including the Plaza de Aramas (main square), the Cathedral, Santo Domingo Church (Koricancha), and the surrounding ruins of Puka Pukara, Kenko, Tambo Machay, and the renowned fortress and religious site of Sacsayhuaman famous by its cosmic energy. Please note: Flights depart Santiago between 5 – 6am approximately in order to connect through to Cusco. Today, you’ll be picked up from the hotel after breakfast to begin the journey to the Sacred Valley. Enroute we visit the Indian market at Pisac. The local merchants offer for sale all sorts of handicrafts, textiles and ceramic goods, plates, ashtrays, necklaces and replicas of pre-Hispanic pottery. There are also woolen ponchos; sweaters, blankets and bags made from llama and alpaca. After we enjoy lunch at a local restaurant in Urubamba, followed by a visit to the town and magnificent fortress at Ollantaytambo before overnighting in the Sacred Valley. Please remember it is not possible to take large pieces of luggage on the train from the Sacred Valley to Machu Picchu (5kgs max). We suggest you store the bulk of your luggage at the hotel in Cusco and take only an overnight bag. Please don’t leave any valuables stored in your luggage and don’t forget your sunscreen, hat and mosquito repellent. This morning, you will be transferred to the railway station to board the train for a scenic train journey through the Urubamba Valley followed by a 20 minute bus ride ascent to Machu Picchu (2,280m), Lost City of the Incas. For centuries Machu Picchu was buried in jungle until the American historian Hiram Bingham stumbled upon it almost by accident in 1911. Although little is still known about the ‘lost city of the Incas’ it is obvious, by the quality of the stonework and the abundance of ornamental sites that Machu Picchu must have been an important ceremonial centre. After a guided tour and lunch you are free to explore the ruins on your own. Tonight, overnight in Aguas Calientes. Today is at leisure. You may wish to head back to Machu Picchu for a second day exploring the ruining or brave Huayna Picchu. Bus tickets and Machu Picchu entry fee is payable locally should you wish to do this. Be sure to leave yourself enough time to be back at the train station at Aguas Calientes in time for your afternoon departure at 3.30pm. On arrival in Cusco you will be met and transferred to the hotel. Today at the appropriate time you will be collected and transferred to the airport to begin your homeward journey. Please note – some flights might arrive home 1 day later. Keep an eye out for Minke whales feeding and Gentoo penguins curiously observing us from the rocky shores. Excludes: Travel insurance, Tipping, Shore Excursion, Visas, Personal expenses, Anything not mentioned or “optional” or “own account” in the itinerary. Please purchase your twin share vouchers and then purchase your single supplement. You can purchase your single supplement by clicking here. 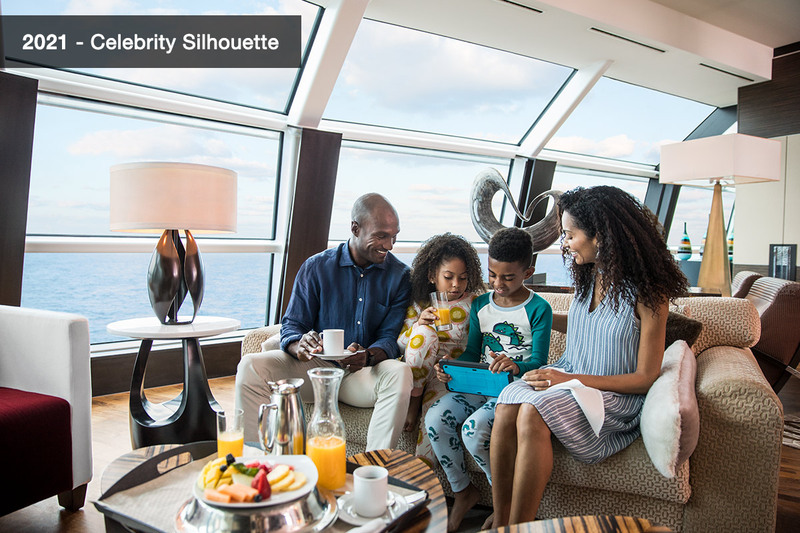 Luxurious and upscale on every deck and at every turn, Celebrity Eclipse and Silhouette set the standard for modern luxury vacations offering stunning décor with diverse dining options. You will enjoy endless entertainment options from sensational shows to some tranquil time in the library. Take a yoga class in the Fitness Center or relax with a massage in the Spa. Featuring an outdoor pool, sparkling waterfalls, the Lawn Club, Solarium with an adults-only policy, theatres, restaurants and cafes, multiple activities on board and more. 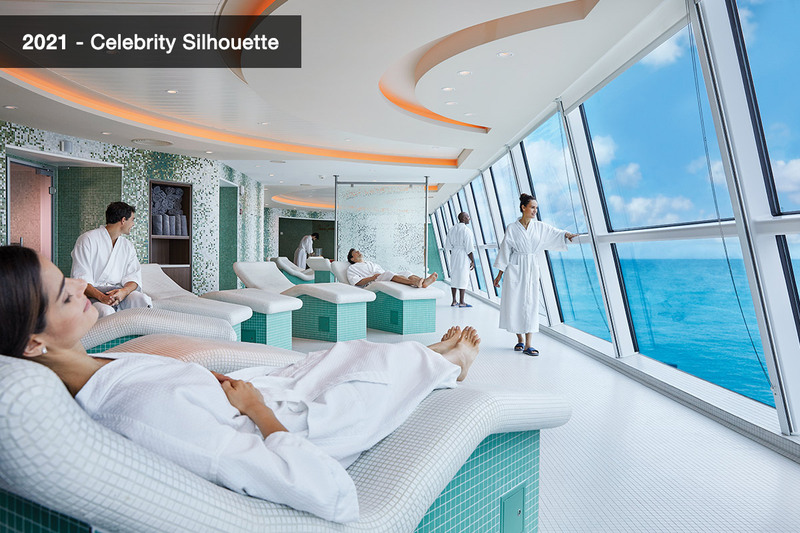 Each stateroom on board Celebrity Cruises includes world-class amenities that all contribute to your modern luxury experience. 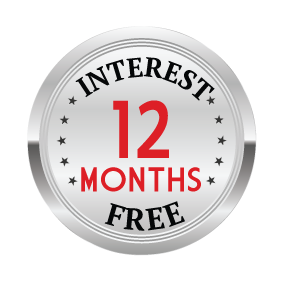 Please refer to the ship profile tab for more information. Please note, some staterooms will get allocated a cabin number by the Celebrity Cruises no earlier than within 30 days of sailing and any stateroom location requests cannot be guaranteed. Scenic Cruising: Please note, where the itinerary mentions “Scenic Cruising” this means there is no port on this day and sightseeing is done from the deck of the ship. This includes Antarctica where there are no options to port or go ashore. Tipping is always a matter of personal discretion. For your convenience, please use the summary below as a guideline for recommended gratuity amounts. Gratuities may be paid in local currency or US dollar equivalent where accepted. Please be aware that tipping is considered by many locals to be a part of their normal remuneration and some may approach you for additional “compensation.” There is no need to be intimidated by the request, nor should you feel pressured to pay more than recommended. If you become uncomfortable by any behavior you encounter, please advise your tour manager or phone our local office. Numbers are provided in your documents for your convenience. Surcharges may apply to some travel dates, please refer to live calendar. Adelaide – A $300 Interstate surcharges apply per person. Perth – A $500 Interstate surcharges applies per person. We had the best time. Everything went according to plan.nIt was easy to book and organise, I will definitely book again though Webjet Exclusives and recommend them to anyone considering booking a holiday.